When I lived in Singapore in 2017, the frequent breakdown of the city-state’s “world-class” metro and its slow buses led me into the world of bike sharing. 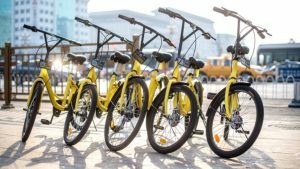 Now, the three bike sharing companies I used there — ofo, Mobike, and Obike — have touched down in the South Korean cities of Busan and Suwon, signalling their intent to conquer Asia’s fourth largest economy. So are South Koreans ready to pedal into the shared economy of two-wheeled transportation? Mobike and ofo, both from China, are the Samsung and Apple of the global bike sharing industry, with 100-200 million users each worldwide and presences in more than 200 cities each. There are other players, too, such as Obike (Singapore) or LimeBike (US), but these are largely unknown outside their respective countries. Tencent-backed Mobike arrived in Suwon, a city to south of Seoul, in December 2017. ofo, backed by Alibaba, arrived a month later, choosing Busan, South Korea’s second-biggest city, as its first destination. What differentiates these companies from many other private and government-run systems is that they are dockless (you don’t need to park them at designated stations), and have mobile-centric app-based systems that allow users to locate, reserve and pay for nearby bicycles from mobile devices. Bike sharing is generally a cash-burning business due to high installation and operating costs and low usage fees. But some operators, like Seoul Metropolitan Government (SMG), took the plunge into it anyway. The city launched its own bike sharing scheme, “Seoul Bike Ttareungyi,” in 2015. Sure enough, the Seoul scheme made a big loss too: In 2016, the city racked up more than 4.2 billion won in operating costs but made just one billion in revenue. Critics have taken issue with Ttareungyi’s tricky registration process and the fact that users have to return bicycles to registered docks around the city, adding a layer of inconvenience. Suwon, after weighing up the costs, opted to bring in private operators instead of launching its own bicycle eco-system according to Han Sang-bae, head of the city’s Bicycle Culture Team. “We have Mobike and Obike now and we plan to accept other operators,” Han told Korea Exposé. On November 2017, SMG also entered into a private partnership with South Korea-based MaaS Asia, which claims to be the country’s first private bike sharing company. MaaS Asia started providing its “S bikes,” which do not use docks, on a trial basis in the capital in November 2017. Seoul city requires private bike-sharing companies to share their user data with the city in the name of “public interest.” Despite their apparent loss-making, many believe that user data are one of the most valuable assets acquired by bike sharing companies. Captured by apps and GPS systems, the data provide insights into the riding habits and consumer behavior of users. The financial states of these businesses are unclear, because they aren’t publicly listed. Many media report that the ventures are financially unsound; others argue that accumulated user data deposits are giving these companies secret cash cows. Only 8.3 percent of South Koreans cycled every day in 2017– a major stumbling block to bike sharing companies. Moreover, the country’s bicycle lanes are few and badly connected, traffic conditions can be dangerous, and the landscape is hilly. 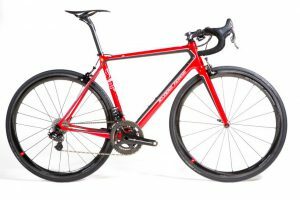 It’s also questionable whether these Chinese companies will be able to expand into Seoul, home to South Korea’s biggest cycling population, because of new regulations from SMG requiring bike sharing companies to provide a certain amount of parking space, and pick up illegally parked bicycles from around the city. In an October 2017 press release, Mobike said it had picked Suwon first because of local authorities’ “vision of transforming the city into a people-centered, environmentally friendly eco-city.” ofo declined to share specific details of its operation in Busan. The concept of bike-sharing is still new, especially in South Korea. It remains to be seen whether the newly-arrived foreign bike sharing companies can become established in the country. 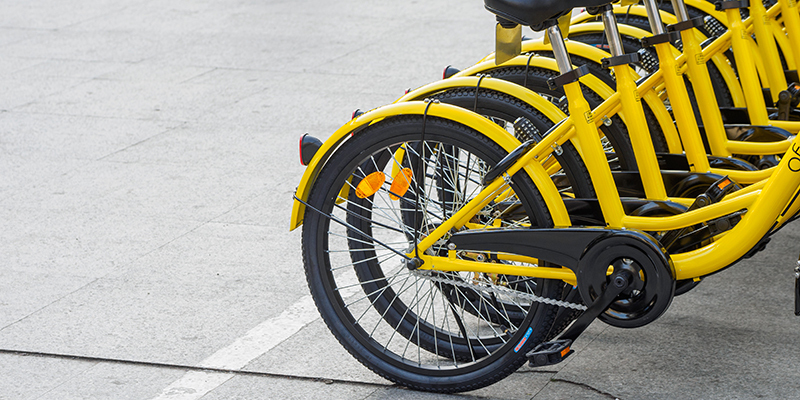 But if they do, they may even contribute to cleaning the country’s air: ofo claims to have prevented over 3.24 million tons of carbon emissions since its launch, while Mobike asserted that it had prevented 1.26 million tons by mid-2017. Next articleBikesharing Is Popular In D.C. Will Scooter-Sharing Be The Next Big Transit Trend?